Get to know the team at Hotel Equities – the reasons for our success. Our talented associates work hard to make a distinct difference in people’s lives and we’re proud of our dedicated team. Utilizing our extensive hospitality and operations experience, our team consistently puts their hearts, minds and faith into fulfilling commitments to our three key stakeholders: investors, associates and guests. As a result, we've helped change the hospitality landscape. Find out what drives our team members to succeed and work so hard for you by reading their bios below. Fred Cerrone serves as Founder and Chairman of Hotel Equities with a portfolio of properties nationwide. His four-decade career started as a desk clerk at Boston’s largest hotel and included work as an award-winning GM, an astute management company executive and a successful hotel owner. After many years in key positions with top hotels, he launched Hotel Equities in 1989 and Marriott tapped him as one of their first franchise partners. In 2012, he co-founded Hotel Development Partners (HDP), an Atlanta-based joint venture between Hotel Equities, IRE Capital and McCarthy Investments to acquire and develop premier-branded hotels. He serves as COO of HDP which has ten properties under management in Atlanta and Charleston and three properties under development in Miami Beach and Atlanta. Marriott International named Hotel Equities the recipient of its prestigious “Spirit to Serve Award for Community Service” in 2017 and 2012. The award recognized the company’s values as expressed through employee volunteerism plus in-kind and cash donations. Hotel Equities is also a two-time winner of the Marriott Partnership Circle Award. Chairman of Marriott’s Fairfield Inn Franchise Advisory Board, Fred holds an MBA from Georgia State University and an undergraduate degree in Hotel and restaurant Management from Miami Dade College. "The greatest leaders are the greatest servants." Brad Rahinsky serves as President and Chief Executive Officer of Hotel Equities, an Atlanta-based, full-scale hotel ownership, management and development firm. He develops the long term vision for Hotel Equites and supports all aspects of the firm’s growing business. In late 2018, Mr. Rahinsky guided Hotel Equities through a historic joint venture and strategic partnership with Virtua Holdings International that will accelerate the firms growth through a comprehensive acquisition platform. Mr. Rahinsky joined Hotel Equities as Vice President of Operations in early 2012 and quickly moved into senior leadership where he has powered the firm’s explosive growth adding over 75 hotels to the firm in over 25 states and multiple provinces in Canada. To handle the rapid and unprecedented expansion, Mr. Rahinsky has internally developed and externally recruited some of the industry’s brightest leaders. Prior to joining Hotel Equities, Mr. Rahinsky co-owned a successful portfolio of Hilton and Hyatt branded hotels in the Southeast. He spent his early years learning the business through progressive executive level positions with Sheraton, Hyatt, Wyndham and various independent resorts. Mr. Rahinsky serves as a member of the TownePlace Suites by Marriott Franchise Advisory Committee and Hilton’s Hampton Inn and Suites Owners Advisory Council. He earned a B.S. degree in Communication Arts with a minor in marketing from the University of West Florida. He and his beautiful wife, Tricia, have five children and reside in Fulton County, north of Atlanta, GA.
Bryan DeCort provides strategic leadership that supports the mission, value statements and daily operations at Hotel Equities. He regularly collaborates with the executive team to ensure all brand standards and business objectives are met with transparency and integrity. Bryan also serves as the liaison with owners and leads HE’s enterprise-wide sales & revenue generation, human resources and projects & facilities management teams. With nearly 25 years of diverse hospitality service, Bryan's luxury hotel brand experience inclues progressive executive leadership positions with Marriott International, Renaissance, Sheraton and Omni Hotels. More recently, Bryan spent a decade in progressive executive level positions with two highly-respected national parking companies. At Towne Park, he led all facets of a growing and diversified hospitality and healthcare portfolio that supported over 150 clients and 3500 associates, while also leading the firm’s enterprise-wide marketing initiatives. During his tenure with Atlanta-based AAA Parking, Bryan served as a company officer and strategic contributor, positions that led the firm to achieve record expansion and growth. Bryan holds a B.S. in Business Administration from the University of Central Florida where he concentrated in Hospitality Management and Marketing. "If it were my money would I spend it?" Chuck Powell has direct oversight of Hotel Equities’ operating groups and growing portfolio of hotels. He joined HE from Interstate Hotels & Resorts, and previously served as an award-winning Vice President of Operations with Noble Investment Group where he oversaw all full-service, resort and conference center hotels. Prior to Noble, Chuck served as a Regional General Manager with Hilton Hotels in downtown Atlanta, Georgia for two convention hotels and one condominium building. During this time, Hilton honored him with special recognition for his top operating efficiencies and RevPAR growth. During his career, Chuck also held senior leadership roles with Occidental Hotels, Omni Hotels, The Don CeSar Beach Resort and Stouffer Hotels. Active in the hospitality industry, Chuck served in top leadership positions of the Atlanta Convention and Visitors Bureau, the Georgia Hotel and Lodging Association, Meeting Professionals International and the board of the Georgia State University School of Hospitality. Chuck earned his degree in Hotel and Restaurant Management from Paul Smith College. An award-winning Hotel Equities' veteran, Drew puts his experience to work daily as he oversees revenue management for all hotels in the firm’s portfolio. He analyzes room demand, evaluates market strengths and weaknesses and monitors key market statistics that impact the hotels’ profitability. Working closely with property operations and sales teams, Drew helps maximize returns that exceed owner and investor expectations. With a degree from Clemson University, he joined the company and moved quickly from Intern to General Manager to Team Leader. Marriott named him 2007 GM of the Year for the TownePlace Suites brand. A devoted husband and dad, he enjoys spending time with family. His passion for water skiing dictates his choice of vacation spots. "Having integrity is doing the right thing when no one is looking." Mr. Buompastore’s responsibilities include oversight of all full service and resort operations including renovation and design, as well as food and beverage for the firm’s portfolio. He works closely with Hotel Equities’ executive team, as well as the Regional Directors of Operations, Sales and Revenue Management to ensure a consistent approach to implementation, improvement and results. More than 29 years ago, Mr. Buompastore began his career in hospitality at a Hyatt hotel in Cherry Hill, New Jersey. He fell in love with the industry and since then has worked for a number of Hyatt hotels in positions of increasing importance and responsibility for nearly three decades. A native of New Jersey, Mr. Buompastore studied Business Administration at Rutgers University and additional related studies at Burlington County College in his home state. Active in his community, he is a sports fan who also enjoys spending time at the beach with his family. He and his wife are the parents of two children. A performance management and training professional, Nancy brings the company’s passion for leadership growth and personal development to life. Nancy’s experience includes nearly 25 years with Marriott International, where she headed their national leadership training programs. Nancy earned a B.S. in Economics from Providence College and a M.S. in Adult Education from Georgia State University. She holds numerous professional certifications, including Myers Briggs Type Indicator, Stephen Covey Master Trainer, Gallup Strengths Assessment and more. An avid tennis player, Nancy enjoys gardening and spending time with her family, especially on vacations to Cape Cod. "If it were my money, would I spend it?" With more than 10 years of industry financial analytics experience, Carlos maintains oversight of the accounting and finance departments, especially the integrity of all reporting, budgeting and cash management activities for the company and its properties. Before joining Hotel Equities, he served six years as SVP, Controller and Asset Manager for the Atlanta-based Premier Hotel Corporation. Carlos earned a B.S. in Accounting from the University of Arizona. In his free time, he helps people lead fuller and happier lives through fitness as an instructor and coach. A weekend trumpet player, he enjoys playing in a big band throughout metro Atlanta. His favorite vacation is visiting San Diego, California with his family. "All People Matter to God." A long-time team member with more than 25 years in the industry, Jeff brings a depth of experience in operations, finance and management to his current role. In addition to working with the Operations team to ensure accountability, he also serves as a strong value add to owners and investors through his expertise in Asset Management. After earning a degree from the University of Georgia, Jeff continued his career as a Sales Manager for Marriott International. He transitioned to Assistant GM with Hotel Equities and, moving up quickly, Marriott twice named him "GM of the Year" for the Fairfield Inn brand. A sports enthusiast, he enjoys tennis, golf and snow skiing. Big Sky, Montana is a favorite vacation spot for the active Shockley family. "Do unto others as you would have them do unto you. (the Golden Rule)"
A talented and highly skilled hospitality industry veteran, Greg brings extensive full and select service brand expertise and leadership to his position. His focus is prospective owners for third party management and development opportunities. Greg began his hospitality career as a desk clerk while in college. He joined Marriott International upon graduation becoming one of Marriott’s first cluster director of sales and then one of their youngest general managers. He earned multiple prestigious awards during his 16 years with Marriott. Throughout more than 31 years of industry experience, he has earned an outstanding reputation in relationship building, contract negotiations, management contracts, franchise sales strategies and development. He holds a strong following developed through years of brand and owner relations. Based in Nashville, Greg is an endurance athlete who competes in Ironman events and runs half and full marathons. He enjoys spending time with his wife and five children. Responsible for overseeing the design, development and progress of various hotel renovations and new development for the firm’s growing portfolio, Patrick coordinates teams that include designers, architects, general contractors and various subcontract services. He ensures that projects stay on budget and on schedule while working with hotel operations to minimize interruption to services or guest scores. Additionally, he leads Hotel Equities’ efforts in facilities management, ensuring the portfolio maintains a best-in-class maintenance and asset care program. Patrick joined us from Noble Investment Group where he held the position of Project Director. He successfully led cross-functional teams in developing and implementing feasible timelines and budgets. Previously he served as Vice President of Construction and Renovation at Wright Investment Properties where he developed budgets and completed projects including all aspects of renovation. As Senior Project Manager for Pillar Hotels and Resorts, he managed the design, purchase and construction of 60+ hotel lobby and room renovation projects. Patrick studied marketing and public relations at the University of Memphis. An Eagle Scout, he served as a specialist in the U.S. Army reserves for eight years. He and his wife Elizabeth live in Marietta Georgia with their three children. In his free time, he enjoys playing golf, cooking and spending time with his family. 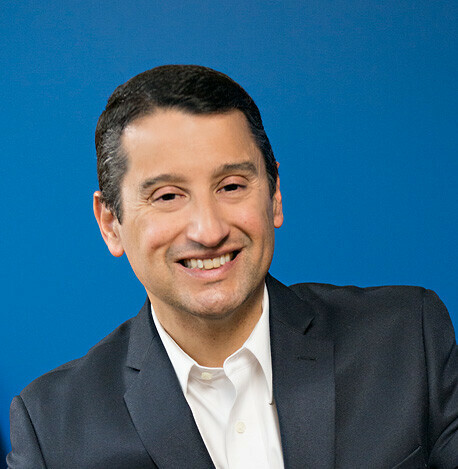 As VP of Sales and Marketing, Cesar Wurm leads HE’s enterprise-wide strategic sales effort while supporting the regional sales team and driving best-in-class performance results. Cesar was previously Director of New Hotel Openings for InterContinental Hotels Group. He began his career in Brig, Switzerland, as an assistant resident manager, and later came to the U.S., advancing from intern to several leadership positions with Crestline Hotels & Resorts, Starwood and most recently as VP of Sales at Trust Hospitality. He achieved back-to-back records for sales and revenue in his previous roles, establishing himself as a market positioning expert through strategy, leadership and deep industry relationships. Cesar’s accolades include 2014 Best-in-Class Associate Satisfaction Survey (Starwood), 2012 Winner of the North America Division Cross-Over Contest (Starwood), 2010 Top Booking Team of North America Division (Starwood) and 2008 honoree for the Stars of the Lodging Industry by the Georgia Hotel & Lodging Association. Cesar graduated from Washington State University and Cesar Ritz College in Brig, Switzerland (B.A. and a Swiss Higher Diploma under an accelerated program). Becky has oversight of all above property operations for a group of hotels managed by Hotel Equities. Based in Virginia, with more than 16 years of hospitality industry experience, Becky began her hospitality career as the Sales Manager at the TownePlace Suites by Marriott in Yorktown, Virginia and soon earned the post of Assistant General Manager at Courtyard by Marriott in Yorktown. She went on to serve successfully in a regional position as Sales Manager for a group of hotels before taking the Director of Sales position for the Courtyard by Marriott in Lynchburg, Virginia. Becky joined Hotel Equities in 2015 as General Manager of the Fairfield Inn & Suites by Marriott Lynchburg and successfully directed the hotel through a complete renovation. Recognizing her achievement, the firm selected her as the General Manager Rookie of the Year 2015. Promoted to Lead General Manager, she provided support and guidance in maximizing financial performance and maintaining guest satisfaction and operational standards for a group of hotels in addition to her own property. In 2016, she earned the prestigious Chairman’s Award from Hotel Equities. Becky studied Business Administration and Accounting at Rappahannock Community College in Glenns, Virginia. Residents of Concord, Virginia, she and her husband are the parents of two young children. She enjoys spending time with family, cooking, shopping and traveling. Toi Brown joined Hotel Equities from Jackson Pierce Public Affairs where she spent the last 11 years leading a diverse Human Resources team. Prior to Jackson Pierce, she served as the Training and Development Manager for Jamestown Properties. Toi is a graduate of Clark Atlanta University where she received a Bachelor of Arts in Communications and she is a current member of both SHRM and ATD. In her role, Toi leads, develops and elevates all Human Resources services, policies and programs. She proactively collaborates and partners with Hotel Equities' internal and external stakeholders to ensure we are delivering best-in-class support throughout the Human Resources discipline. Toi is a South Florida native and loves the water. She lives in the greater Atlanta area with her husband, two sons and their Yorkie. Jessica has responsibility for assisting with key projects for the firm’s Operations Team and providing support for Human Resources and corporate associates. She joined Hotel Equities from Resource Alliance where she served as HR Coordinator and brings more than seven years of experience, primarily in the human resources field. Jessica began her career in customer service after college graduation, but soon moved into human resources. She progressed quickly through a series of positions of increasing responsibility before joining to Hotel Equities. Jessica is a resident of Peachtree Corners in Gwinnett county where she is an active volunteer for World Changers Church International. She holds an A.S. degree from Georgia Perimeter College. In her free time, she enjoys baking and hiking. "Hire an attitude and teach them the business." A seasoned and highly-successful top management executive with more than 25 years of experience, Rob has oversight of all operations of the hotels in his division. He creates and administers models for operational excellence and provides guidance and training. Following an extended career with Marriott, Rob worked as VP of Operations for the Shaner Hotel Group and Regional Director of Operations for Noble Investment Group, where he received eight awards from Marriott International for industry-topping achievements. He joined HE from his post as VP of Operations at Alliance Hospitality. Rob enjoys golf, RV camping and any sporting event. His favorite vacation spots are Montana and Wyoming. "Having Integrity is Doing the Right Thing When No One is Looking"
Marchelle brings a vast amount of hotel industry experience to her role in revenue management. She spent nearly thirty years serving as a general manager where she gained valuable knowledge of a diverse portfolio of hotel brands. 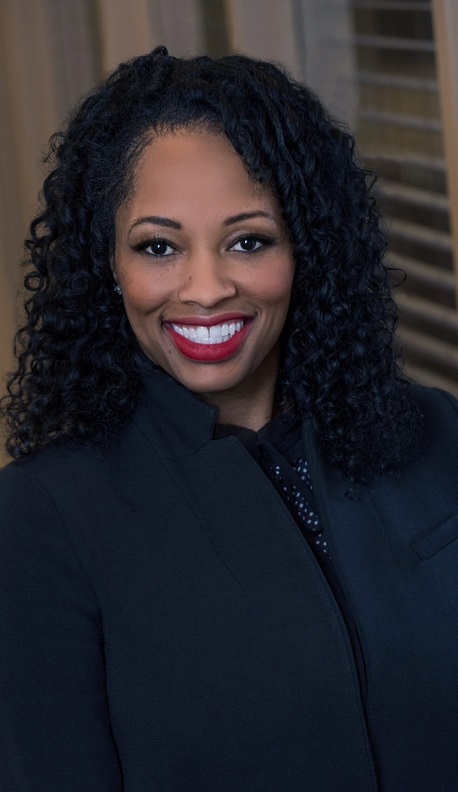 Marchelle most previously served as an area general manager where she oversaw a portfolio of Marriott hotels, including Residence Inn and TownePlace Suites brands. During her assignment as area GM, Marchelle had oversight of the revenue management for her portfolio of hotels and fell in love with it. She pursued revenue management full time in 2016 and then began her career with Hotel Equities in February of 2018. Marchelle earned her degree in Chemistry from Syracuse University. Her initial entry into the hospitality sector was intended to put herself through college. She claims that hospitality got in her blood and the rest is history! "Hire an Attitude and Teach Them The Business"
As Regional Director of Sales, Polly Ann brings a vast amount of experience in sales, leadership and training to a portfolio of hotels where she has oversight of sales and marketing strategies. She joined Hotel Equities in 2017 as the Area Director of Sales for a portfolio of hotels in Charleston, SC, where she successfully maximized revenues and increased group bookings for all assets. She was formerly with Interstate Hotels and Resorts where Polly Ann built an impressive record of success as Director of Sales and Marketing by increasing both occupancy and revenue during her seven-year tenure. Prior positions include Eastern Regional Sales Specialist with Marriott International and Director of Sales for the Courtyard by Marriott Charleston Coliseum. Polly Ann has a passion for developing talented sales people and regularly facilitates enhanced training sessions with sales leaders throughout her portfolio of hotels. Her “spirit to serve” attitude and unique leadership skills yield impressive results and strengthen the Sales and Revenue Generation team. In her free time, Polly Ann enjoys working out, spending time at the beach and cooking. As the Regional Director of Sales for a portfolio of the firm’s hotels in Texas, Susan is responsible for all sales, marketing, public relations and market share growth for the firm’s growing Texas portfolio and directs the firm’s sales teams to peak performance. Formerly with The Embassy Suites Austin Central as Director of Sales and Marketing, Susan also served in similar positions with Marriott full service hotels in Richmond and Austin. Throughout her career, she held leadership posts in sales with the Omni Hotel Austin Downtown and Westin Hotels and Resorts. Susan holds a B.A. in Sociology, Asian Studies from Tufts University. A professional chef with a keen interest in culinary arts, she earned several professional certificates in food and beverage management and holds a Culinary Theory Certification from Académie de Cuisine. Other interests include travel, golf and reading. She and her husband live in Dripping Springs, Texas with their two dogs. Based out of their mid-west regional offices, Amy reports to the Vice President of Sales & Revenue Generation for Hotel Equities. She works with the properties to assist, support and direct pricing, as well as yield management and mix management, in order to maximize and grow RevPAR. Amy joined Hotel Equities from Sun Companies where she served as Director of eCommerce & Revenue Management with oversight of all ecommerce for 35+ properties and daily revenue management for a portfolio of 11 hotels. She began her work in revenue management with Pineapple Management Services where she served a portfolio of 20 hotels. She later worked as Director of Revenue Management for Premier Hospitality after holding a similar position with LaQuinta Hotels. Amy holds a master’s degree in Revenue Management from the IHG Revenue Academy. She attended West Texas A&M University. She enjoys exercising and weightlifting and loves being a wife and a mother to her two beautiful daughters. Jimmy is based in Atlanta and has oversight of all above property operations for a group of hotels managed by Hotel Equities. He reports directly to Dominic Buompastore, Vice President of Operations/Full Service & Resorts. With more than 20 years of hospitality industry experience, Jimmy began his hospitality career as a technician and moved up quickly within Marriott to the post of General Manager. He came to Hotel Equities as originally as General Manager of the Courtyard by Marriott McDonough and was soon promoted to Lead General Manager for a group of hotels. In 2015, he earned the firm’s Chairman’s Award for the outstanding overall leadership and hotel performance results. Jimmy's strong background in operations, team-building skills and his passion for the hospitality industry make him an integral part of the team, ensuring our teams are successful in achieving their goals. Mr. Grover earned a degree in Business Administration from Western Illinois University after growing up in Chicago. A resident of Lithonia, Georgia, he and his wife are the parents of three children. He enjoys fishing and playing golf in his free time. With 20 years of hospitality experience, Thomas is responsible for all sales, marketing, public relations and market share growth for a portfolio of the firm’s hotels. His unique leadership skills and proven sales tactics strengthen the sales and revenue generation team, leading the effort to penetrate markets and lead market share. He reports to Drew Salapka, Sr. Vice President of Revenue Generation. 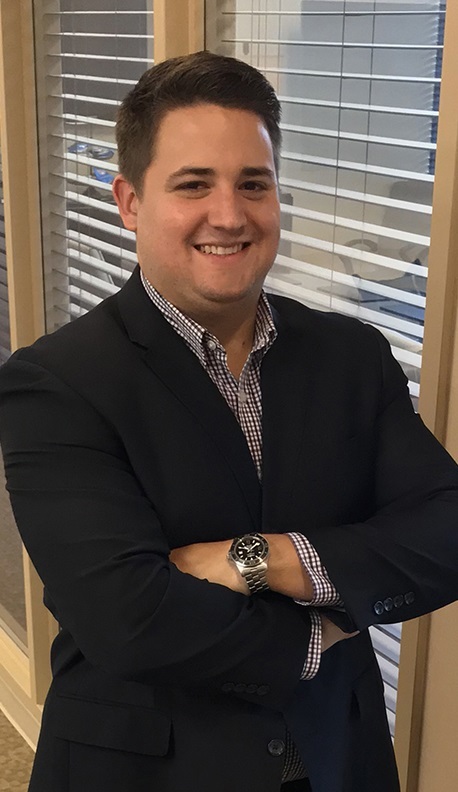 Thomas previously served as Regional Sales Manager with Marriott International, responsible for selling 15 full service and select service properties in the metro Washington DC/VA area. Before joining Marriott, Thomas gained invaluable Atlanta market knowledge as Corporate Sales Manager for the W Atlanta Perimeter Hotel with Starwood Hotels & Resorts, and also served as the Senior Sales Manager for the JW Marriott Atlanta Buckhead. Thomas earned the New Hotel of the Year and Hotel of the Year for Interstate Hotels & Resorts Crossroads division during assignments as Opening Director of Sales for both the Atlanta Marriott Buckhead Hotel & Conference Center and the Courtyard Atlanta Decatur Downtown/Emory. Thomas currently resides in Atlanta, GA and loves to vacation anywhere he can find a beach. In his spare time he enjoys spending time with my family, friends and his dog, Spartacus. He earned his BS degree in Hotel, Restaurant & Tourism Administration from the University of South Carolina. Jim serves as Regional Director of Sales for the firm. Jim focuses on the hotels in the firm’s Full Service and Resort Division as he works to assist, support and direct the sales efforts throughout the firm’s growing portfolio. Additionally, he helps facilitate training for the Directors of Sales at their respective hotels. With more than 25 years of hospitality industry experience, Jim came to Hotel Equities from the AAA Five Diamond Fairmont Scottsdale Princess. He served as Director of Markets, successfully leading a team with an annual budget of $11.2 million or nearly a third of the resort’s overall annual budget. Previously, he served as Director of Association, Mid-Atlantic and Southeast for the AAA Four Diamond Waldorf Astoria, La Quinta Resort & Club and PGA West. Jim also spent several years as Area Sales Leader for Marriott International’s Mid-Atlantic Region. He started his hospitality career in 1996 in Atlanta as Manager of the Olympic Village. Jim earned a B.S.F.C.S./Hotel Restaurant from the University of Georgia with additional hours from Harvard Leadership E-Learning. Using her outstanding organizational skills, Ruth has provided administrative support to CEO Fred Cerrone for more than 21 years. She also supports the corporate office team, coordinates scheduling of meetings, facilitates travel arrangements and helps to edit the firm’s newsletter. With prior experience working in both church and medical offices, she brings exceptional attention to detail to every task and provides minutes for many corporate meetings. She organizes and facilitates the weekly Hotel Equities Women’s Bible Study group and coordinates the Hotel Equities Prayer Team. An accomplished pianist, Ruth plays and listens to a variety of music. In her free time, she enjoys spending time with family and traveling, especially to the beach…anywhere! Mike began his hospitality career in 2001 and brings a unique perspective to revenue management through his work in both operations and sales. He began his career in guest services before transitioning into sales. As Revenue Manager, he helps to maximize each day’s potential revenues using the firm’s proven systems and sound strategies. By conducting webinars and on-site seminars, Mike also helps train and grow hotel teams to be proficient in sales and revenue capacities. Mike studied Business Management at Northwest Florida State College. In 2013, Hotel Management magazine named him to its list of “Thirty Under 30 Rising Stars.” His hobbies include beach volleyball and golf. New Orleans is a favorite vacation spot for Mike and his family. Whitney joined Hotel Equities in 2016 as Human Resources Coordinator. As a member of the Human Resources team, Whitney plays a key role in business strategy development, implementation and response time, proper staffing and organizational structure for current and future associates. She has a firm knowledge of payroll, benefits, employee relations, recruitment and training. She previously worked with Human Resources Dimensions as HR and Recruiting Coordinator and prior to that, she served as HR Services Specialist at Amec Foster Wheel for 2.5 years. Whitney is from Chattanooga, Tennessee and attended Bryan College in Dayton, Tennessee. She lives in the greater Atlanta area, where she enjoys spending time with her family & friends, hiking, cooking and visiting any beach that she can! "The greatest leaders are the greatest servants"
Jack initially developed a passion for hospitality working as a whitewater raft guide, where he enjoyed creating memorable adventures for guests. He began his career with Hotel Equities in 2018 as an associate of HE’s Manager in Training [MIT] Program. 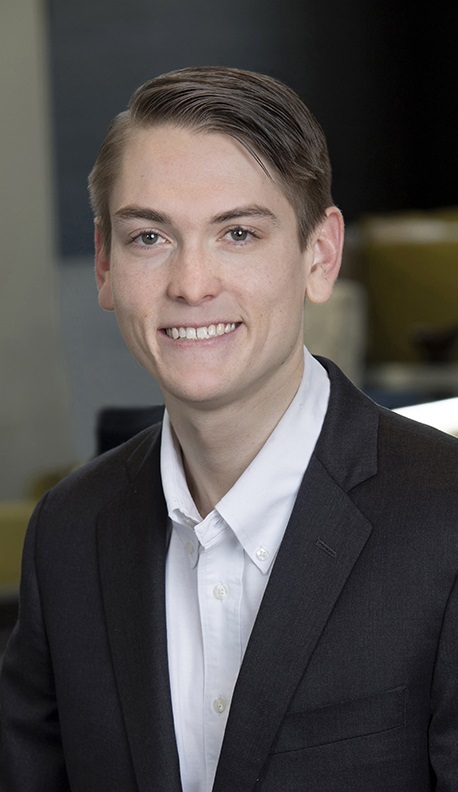 During the program, Jack worked at the Residence Inn by Marriott hotel in Atlanta where he gained critical hands-on experience working in all areas of hotel operations, including hotel transitions. He also had the opportunity to engage with senior leadership at the corporate level where he gained valuable insight into managing revenues for a multi-branded portfolio of hotels. Jack is one of many examples of why Hotel Equities believes developing their associates is a worthwhile investment. Jack is originally from Charlotte, North Carolina and has a degree in hospitality management from the University of South Carolina. In his free time, Jack enjoys spending time outside. A highly-skilled financial professional, Stacey holds more than 18 years of experience in the areas of revenue management and operations. She provides assistance to a portfolio of hotels by setting the day-to-day selling strategies for rate and inventory management to maximize revenue and increase market share. She also provides training to the hotel teams. Her prior experience included positions with Noble/Interstate Hotels and Resorts, Marriott International and Starwood Hotels & Resorts. Stacey earned a degree from the Georgia Institute of Technology and is a Certified Revenue Management Executive. She shares her family’s love of sports, but also enjoys reading, baking and cooking. She claims her ideal vacation spot is any place quiet. As Marketing Coordinator, Ansley assists in the development and implementation of Hotel Equities’ marketing and communications strategy. She is a graduate of HE’s 2014 Management Development Program (MDP) during which time she gained valuable experience in multiple property-level disciplines at the Courtyard by Marriott hotel in Buford, GA. Upon completion of the MDP, Ansley was promoted to the role of operations manager for another Marriott branded property within HE’s portfolio of hotels. Ansley graduated from the University of South Carolina with her Bachelors in Journalism and Mass Communications. She excels in her role as marketing coordinator by combining her passion for hospitality with her background and creative expertise. Since joining the corporate team, Ansley has integrated a marketing strategy that has enhanced HE’s overall communications with our stakeholders while ensuring sustainability through dedicated branding initiatives. Ansley is an Atlanta native and she currently resides in Smyrna, GA. In her free time she enjoys playing tennis and watching South Carolina football! Sommer is responsible for the organization’s communications including planning, development and implementation of Hotel Equities’ marketing and public relations strategies. Her efforts are focused on working with the marketing and communications team to ensure that the organization's image is clearly articulated. Sommer holds a degree in Business Administration from Pensacola State College and has additional training in Google analytics, graphic design and photography. A graduate of Pathbuilders Percepta® program for women, she is currently a member of Hotel Equities’ Leadership Development Program. In 2017, Hotel Management magazine recognized Sommer as a member of the hotel industry’s Thirty under 30 Top Rising Stars. With a heart to serve others, Sommer organizes community service projects for the corporate office staff and promotes a spirit of volunteerism throughout the company. In 2016, the firm awarded her the prestigious Hotel Equities Pillar Award for contributions as a culture and brand champion. An active member of the company’s Diversity and Inclusion committee, she is a driving force behind the firm’s commitment to advance D&I in the workplace. A native of Pensacola, Florida, Sommer enjoys kayaking, relaxing at the beach and traveling. She has lived in Atlanta for the past six years. As a Regional Director of Operations, Gary oversees a portfolio of hotels in the Texas region. In his previous role, Gary served as opening General Manager for the new Four Points hotel in Houston where under his leadership, the hotel was awarded Marriott’s prestigious Opening Hotel of the Year for the brand. Gary’s career spans 25+ years of experience in the hospitality industry. After college, Gary spent seven years gaining valuable experience in food and beverage as a restaurant and banquet manager. He then moved into operations as front desk manager and was promoted to various management positions such as director of services, general manager, director of operations, lead general manager and finally regional director of operations for Hotel Equities. His leadership skills and knowledge of the hotel industry make him an incredible asset to Hotel Equities and to all of the hotel teams that he serves. As Corporate Chaplain, Greg oversees the weekly Life Lessons Over Lunch program and the firm’s confidential 24-hour Prayer Line, and he also plans and leads mission projects, locally and abroad, many of which include Hotel Equities associates. He regularly visits each of the company’s hotels and provides personal counsel to associates and guests in times of crisis. A Southern Baptist pastor who served in local churches for 16 years, Greg holds degrees from Hardin-Simmons University and Southwest Baptist Theological Seminary. He is the founder and president of InStep International, an Atlanta-based nonprofit with a focus on local and international missionary projects. Greg enjoys life coaching, purpose development, and helping people reach their full potential. With 30 plus years of hospitality experience in her field, Barb supports and directs properties in setting and executing pricing strategies, mix management and yield management to maximize revenue and market share. Her career began at the Twin Bridges Marriott in Washington, DC and has included positions of increasing responsibility in hotels from Massachusetts to Georgia. Barb holds the CRME credential and has completed extensive training in analyzing and implementing successful revenue management with Marriott, Hilton, Starwood and Hyatt. Her hobbies include attending concerts, sewing, boating and traveling. She loves spending time on the beach, especially Cape Cod, with her husband and two daughters. 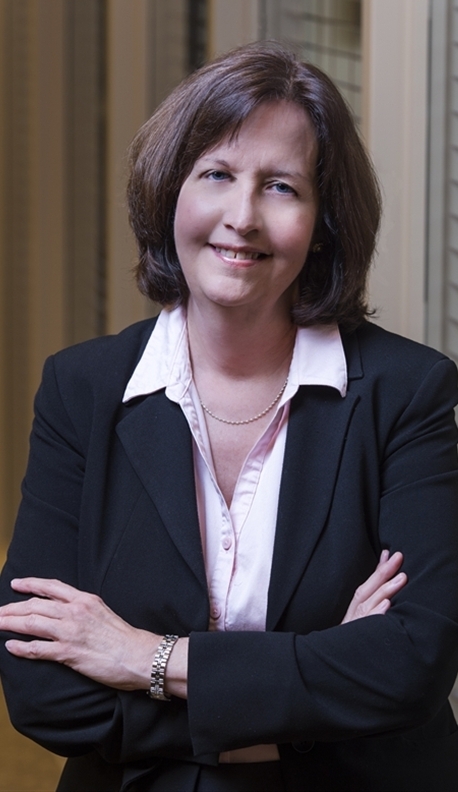 Kathy holds more than 30 years of experience in the field of accounting. She started her career working on audits and tax preparation before moving into a supervisory role. A highly skilled C.P.A., she held the position of controller at two firms, working with real estate partnerships and syndications. Working at Hotel Equities, she has a developed a keen knowledge of the hospitality industry’s financials. Kathy earned a B.S. in Accounting from the University of Georgia. She enjoys growing flowers and gardening, spending time with her family and traveling. Her favorite vacation spot is Yellowstone National Park in Wyoming. Toni’s previous experience in hotel and restaurant operations, coupled with her 15 years of experience in revenue management, supports a dynamic comprehension of the discipline which serves both our management company and our clients. Toni has extensive knowledge in managing a variety of hospitality establishments and revenue optimization systems including Hilton, Marriott, IHG, Choice, La Quinta and Wyndham branded properties. Toni supports the continuing focus on value creation by overseeing overall yield management for her portfolio of properties and she supplies critical analysis on the effects of decisions effecting occupancy, average rate and rooms profit goals. She assists in feasible study analysis and project proforma analysis. Toni is fluent in a variety of brands revenue management optimization systems providing daily forecasts of demand and offering inventory recommendations for each individual property. Additional strengths include international experience with The University of Arkansas MIS Study Abroad Program with a focus on e-commerce. This experience gives Toni a competitive edge with the continually growing popularity of social media and the importance of e-commerce to hotel operations. Toni also assists in creating and implementing company wide revenue management culture. She earned her BSBA Degree in Administrative Management from the University of Arkansas, Sam M. Walton College of Business. When Toni is not working, she is an avid outdoor adventurist and enjoys hiking and kayaking. Kristen serves as Regional Director of Sales for the firm. She reports to Drew Salapka, Sr. Vice President of Revenue Generation. Kristen came to Hotel Equities from MCR Development LLC. She lives in Texas and joins HE with 10+ years of above property sales experience and has knowledge of over twenty brands within Marriott, Hilton and Hyatt hotels. She strengthens teams by identifying needs and developing processes or strategies to increase efficiency and generate revenue. 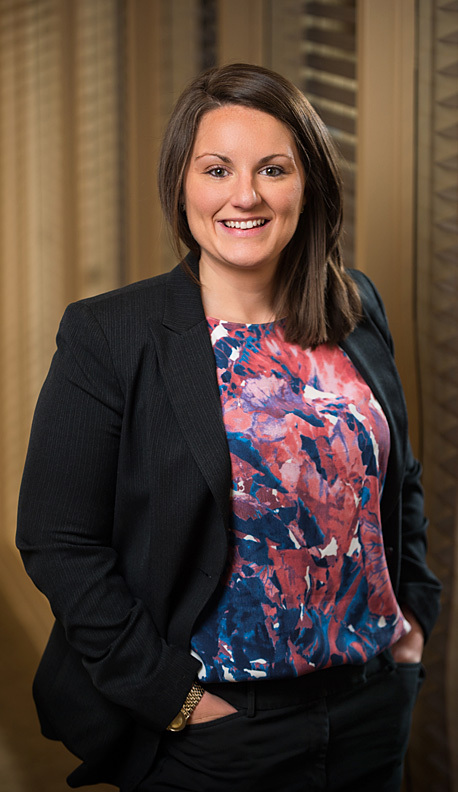 Kristen was named Director of Sales of the Year twice, named MPI Rising Star and joined the Hilton One Million Club for Group Revenue Booked in less than 12 months. Kristen is a people person with a creative approach to challenges, with a proven track record of success. She and her husband have 7 children and when she is not working, Kristen enjoys boating and traveling. "All People Matter to God"
Foster White serves as Hotel Equities Business Development Analyst. He works with the business development team to analyze and deliver data-driven recommendations to the firm’s partners. He provides deliverables and value to owners through underwriting and enhanced communications. Foster reports directly to Joe Reardon, Chief Development Officer. Foster originally joined HE in 2012 as an intern while studying at Clemson University. After graduating with his degree in Financial Management, he completed HE’s Manager in Training (MIT) program. During the MIT program, Foster gained hands-on experience working in all areas of hotel operations, including transitions and new hotel openings. He also had the opportunity to engage with senior leadership at the corporate level where he gained valuable insight into operating a multi-branded portfolio of hotels. After completing the program, Foster joined the opening team at the Hampton Inn & Suites in Dunwoody, GA and most recently served as the opening Assistant General Manager at the Residence Inn by Marriott-Atlanta Perimeter Center/Dunwoody, GA, Marriott’s 2017 Opening Hotel of the Year award-winner for the brand. Foster is originally from Greenville, SC and currently resides in Atlanta, GA. He enjoys spending time at the lake and playing music. We have the knowledge and experience to help your property reach it's full potential.